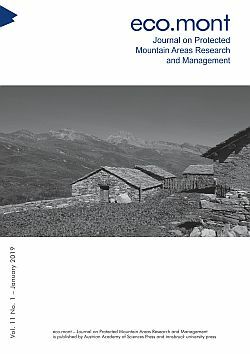 This paper presents a combination of architectural and geographical methods for studying the abandonment of Alpine cultural landscapes. It examines the afforestation of hay meadows above the Uskovnica Pasture in the Bohinj Mountains in Slovenia’s Julian Alps. Written sources on the intensity of changes are rare for mountainous areas, and so auxiliary means can be used as indicators. These include abandoned architectural elements, such as the hay barns discussed here. This paper presents a classification of the levels of decay of these buildings, which were used to store fodder over the winter. It uses them as an innovative indicator of changes in the cultural landscape. The study presents the results of a comprehensive, long-term examination of a disappearing cultural heritage: hay meadows in a sensitive protected mountain area of the Alps.